Do you have questions about Monsanto’s controversial weed killer, Roundup? If so, you’ve come to the right place. In this FAQ on current Roundup class-action lawsuits, we’ll take a look at several of the most commonly asked questions regarding this product and its potentially dangerous chemical properties. Several Roundup lawsuits have been in full swing for months now, and if you think you may have a case, don’t delay. Reach out to us today to discuss your options. 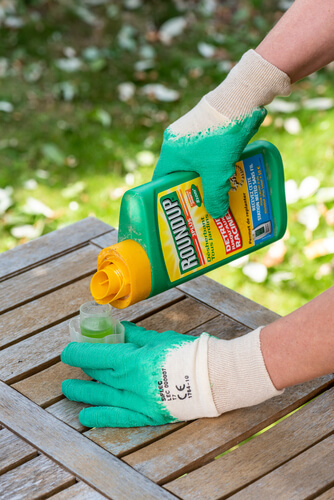 Monsanto’s Roundup product is an herbicide designed by the company in the early 1970s to be particularly effective at managing and eliminating common varieties of weeds. The primary active ingredient found within Roundup is glyphosate. This chemical was first synthesized by the company itself, who patented it shortly afterward and has been marketing it as Roundup since 1973. Monsanto’s flagship product has landed the company in legal hot water due to its apparent connection to various forms of cancer. These accusations have already cost the company dearly, culminating in a $289 million lawsuit, and a 2018 acquisition by Bayer, who is currently attempting to clean up the company’s public image. All the same, new class-action lawsuits are brewing, and if you think you may have been affected by Roundup, you may have a viable case for litigation. What Injuries/Illnesses Are the Basis for The Roundup Claim? Health issues associated with Monsanto Roundup have been accumulating for years, but only now is the company actually beginning to take (public) notice. As mentioned above, one high-profile lawsuit that concluded in 2018 awarded a San Francisco groundskeeper $289 million after he successfully argued that Monsanto did not provide adequate warning about the potential risk of using their herbicidal products containing glyphosate. The main risks being brought up in litigation involve the carcinogenic properties of glyphosate as disclosed recently by the International Agency for Research on Cancer (IARC). This reclassification is based upon the organization’s findings that exposure to glyphosate may cause cancerous growth over an extended period of time, and that this risk has not been adequately communicated to the public. Anyone who has ever come into contact with herbicide products from Monsanto containing glyphosate has been exposed. In fact, you may have been exposed to it in small amounts by merely ingesting foods that have been treated by Roundup or other, similar herbicides. More and more litigation cases are beginning to appear along these lines, and we expect this trend to continue well into 2019. Have you come into contact with Monsanto Roundup or any other herbicide in the company’s roster containing glyphosate since 1980? Have you ingested any food products in that time that may have been linked to the chemical? If the answer to either question is yes, you may have a viable case for legal action against the company. However, the most likely candidates for litigation will be individuals that have suffered medical illnesses or injury as a result of their exposure. Who Do I Call If I Think I Have a Case? If you feel that you meet any of the requirements stated above, don’t hesitate to reach out to us today. As a national Roundup attorney group, we have access to the latest legal methods available, and we will do everything in our power to help you reach a settlement for your injuries and illnesses associated with Monsanto’s products. Remember, litigation is open to any individual who may have experience potential health hazards as a result of their exposure, either direct or indirect, to Roundup or any other glyphosate-based herbicidal product. Don’t delay. New cases are popping up around the country, and there are still many opportunities to build your case. Before reaching out to us, collect any relevant information you may have, such as hospital records, product receipts, and descriptions of your specific situation, including the length of exposure, how you were exposed, and any other adverse health conditions you have experience as a result. We look forward to assisting you. Call (720) 613 – 6736 or contact our firm for a FREE consultation.